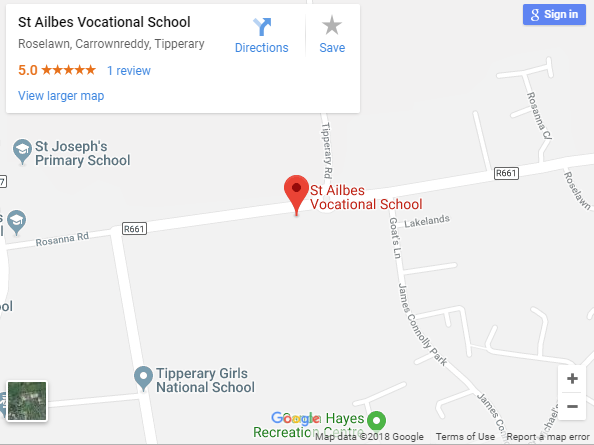 Tipperary Education and Training Board is responsible for the management of St. Ailbes School. This places extra resources at our disposal, enabling us to offer a wider curriculum than if we were on our own. The School also has a Board of Management, composed of representatives of parents, E.T.B members and teachers. The Board of Management meet to discuss the school’s programme, facilities, etc.